'Chats' section integrated with the Facebook app. 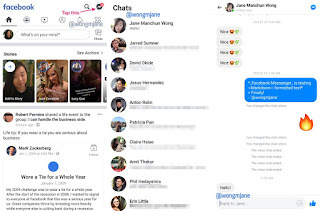 The Chats section, as Wong described, listed her previous Facebook messages but only with basic functionalities of seeing and replying to messages. There were no popular 'Messenger-specific' capabilities, like the option to send message reactions, share photo/video, or to make a call. 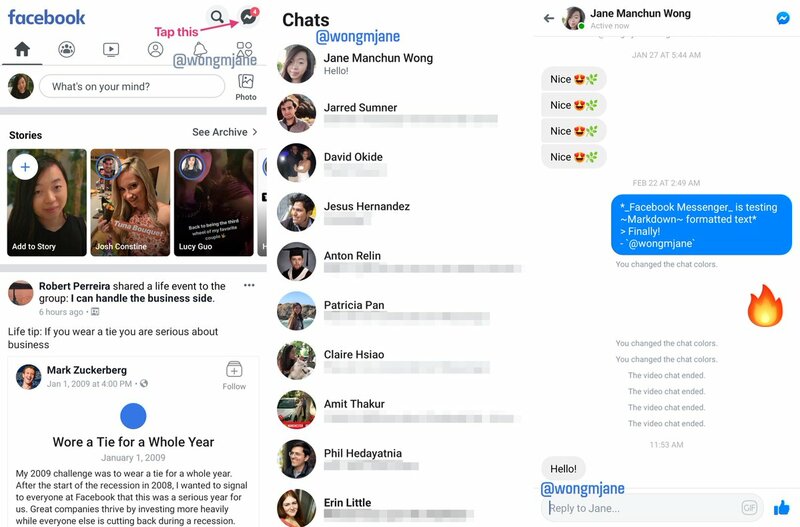 Now, this looks like a clear U-turn, but Wong indicates it could be the social network's way of laying the groundwork for the integration of Messenger, WhatsApp, and Instagram DM - a move that would enable cross-platform messaging between services. 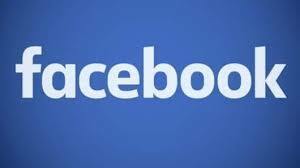 Facebook has not commented on the development or the testing of the new section. 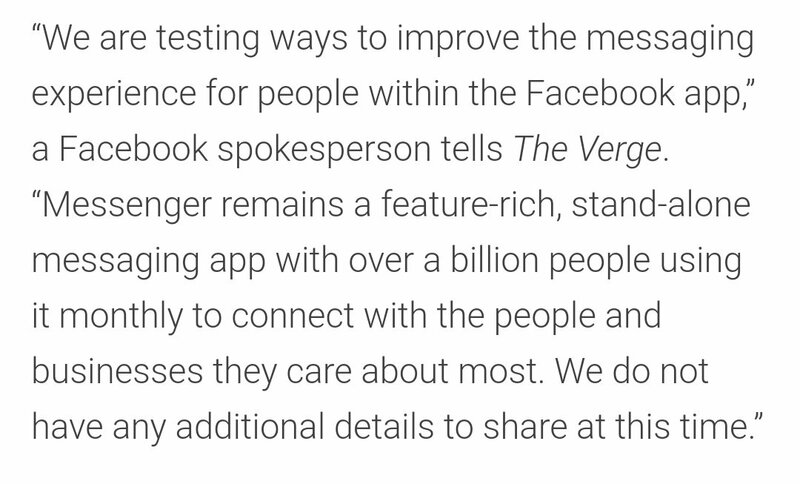 Still, Wong believes that the introduction of this feature, whenever it may be, won't mark the end of Messenger. 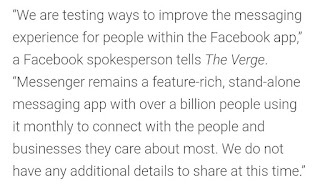 She believes the product serves a different market and will be retained, perhaps to offer access to advanced messaging features missing in the chats section. When Facebook plans to merge its messaging services? Facebook announced the plan to merge the underlying infrastructure of Messenger, WhatsApp, and Instagram DMs back in January. The apps will work separately but share the same architecture and features like end-to-end encryption. So far, reports have indicated that thousands of developers are working on the mission, which may be completed by the end of 2019 or in early 2020.